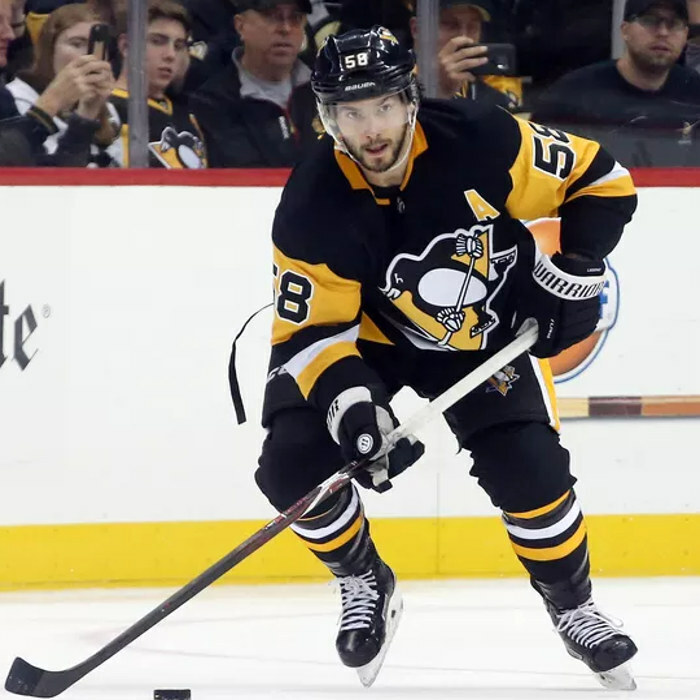 Kristopher Allen Letang (born April 24, 1987) is a Canadian professional ice hockey defenceman and alternate captain for the Pittsburgh Penguins of the National Hockey League (NHL). He played juniors in the Quebec Major Junior Hockey League (QMJHL) for three seasons, during which time he was selected 62nd overall by the Penguins in the 2005 NHL Entry Draft. In his second full NHL season, Letang won the Stanley Cup with Pittsburgh, he became a two-time Stanley Cup champion when the Penguins defeated the San Jose Sharks in 2016, and a three-time Stanley Cup champion when the Penguins defeated the Nashville Predators in 2017. Internationally, he has competed for Canada at the under-18 and under-20 levels, winning back-to-back gold medals at the World Junior Championships in 2006 and 2007.